At the annual meeting there will be an election of officers and four bylaw amendments for consideration. While these were included in the paper copy call to meeting, they are below for your convenience. Current Language: The object, purpose, and mission of the NEAP shall be for the studying, teaching, promotion, and dissemination of the philosophy and principles underlying the rules of deliberative assemblies; to promote wider interest in the knowledge and use of parliamentary rules, and to further the objectives and purposes of the NAP . Proposed Changes: This association is organized exclusively for educational purposes in accordance with Section 501(c)(3) of the Internal Revenue Code. Consistent with this purpose, the object and mission of the NEAP shall be to study, teach, promote, and disseminate the philosophy and principles underlying the rules of deliberative assemblies; to promote wider interest in the knowledge and use of parliamentary rules; and to further the objectives and purposes of the NAP. If adopted, would read: This association is organized exclusively for educational purposes in accordance with Section 501(c)(3) of the Internal Revenue Code. Consistent with this purpose, the object and mission of the NEAP shall be to study, teach, promote, and disseminate the philosophy and principles underlying the rules of deliberative assemblies; to promote wider interest in the knowledge and use of parliamentary rules; and to further the objectives and purposes of the NAP. Rationale: To conform with NAP’s suggested bylaws and include IRS reference. Current Language:None Proposed Changes:Section 4. No Personal Inurement. No part of the net earnings of the association shall inure to the benefit of, or be distributable to its members, officers, or other private persons, except that the association shall be authorized and empowered to pay reasonable compensation for services rendered. If adopted, would read:Section 4. No Personal Inurement. No part of the net earnings of the association shall inure to the benefit of, or be distributable to its members, officers, or other private persons, except that the association shall be authorized and empowered to pay reasonable compensation for services rendered. Rationale: To conform with NAP’s suggested bylaws. Current Language: None Proposed Changes: Section 5. Notice of Meetings At least three days’ notice of committee meetings shall be given to all members of the committee. Notice may be waived if given in writing by all members of the committee. If adopted, would read: Section 5. Notice of Meetings At least three days’ notice of committee meetings shall be given to all members of the committee. Notice may be waived if given in writing by all members of the committee. Rationale: Currently no provision for committee meetings. This would clarify committee meetings notice is the same as board meetings. Current Language:In the event of the dissolution of the association, the assets shall be liquidated and distributed to NAP in accordance with government regulations. No funds shall inure to the benefit of individual members. The association charter shall be returned to NAP headquarters. Proposed Changes:Section 1. Assets Distribution Upon the dissolution of the association, assets shall be distributed for one or more exempt purposes within the meaning of section 501(c)(3) of the Internal Revenue Code. Section 2. Return of Charter The association charter shall be returned to NAP Headquarters. If, at the time of dissolution, NAP meets the criteria under Section 1, the assets shall be liquidated and distributed to NAP. If adopted, would read:Section 1. Assets Distribution Upon the dissolution of the association, assets shall be distributed for one or more exempt purposes within the meaning of section 501(c)(3) of the Internal Revenue Code. Section 2. Return of Charter The association charter shall be returned to NAP Headquarters. If, at the time of dissolution, NAP meets the criteria under Section 1, the assets shall be liquidated and distributed to NAP. Evan is principal of Lemoine LLC, a Connecticut CPA-firm offering tax, accounting, and parliamentary solutions to entrepreneurs and non-profit organizations across New England. In addition to being a certified public accountant and professional registered parliamentarian, Evan is a certified fraud examiner and chartered global management accountant. He serves as treasurer of the National Association of Parliamentarians, chairman of the budget-finance committee, chairman of the pricing committee, chairman of the financial stability committee, member of the personnel committee, and ex-officio member of the youth committee. 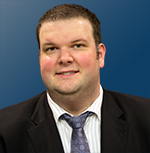 He is active in numerous professional organizations in Connecticut and Rhode Island. Evan is a professional registered parliamentarian and has extensive experience working with youth-based organizations and student governments. Under Evan’s leadership, the New England Association was formed in July 2013. He currently serves as NEAP President. Kendra is a licensed attorney in Massachusetts servicing clients in estate planning and elder law. She graduated from New England School of Law with her Juris Doctor and then graduated from Western New England University School of Law with an LL.M. in Estate Planning and Elder Law. 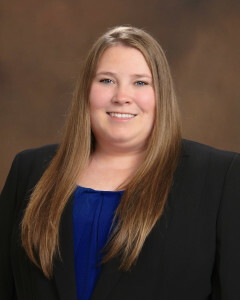 Kendra is a partner with Mattson, O’Toole & Reed, LLC based in Weymouth, MA. Kendra serves as the Vice President, Chairman of the Program Committee and Chairman of the Conference Special Committee for the George Demeter Unit in Westwood, MA. She is studying to take the Registered Parliamentarian exam and looks forward to expanding her knowledge to Robert’s Rules and the parliamentary procedure through her active participation in NEAP and the George Demeter Unit. She currently serves as the NEAP Vice President. Marie has served as a presiding officer, parliamentarian, and trainer for a wide range of organizations, from large church assemblies, non-profits, and unions to smaller, but no less complex, New England town meetings. She holds a masters degree in public administration and has extensive experience with state and local government and regulatory agencies. Marie is the editor of the Great Leaders Series of parliamentary tools. Her additional experience as an editor of technical publications and regulations makes her uniquely qualified to assist with association governing documents, finding creative solutions for internal problems and externally mandated restrictions. Marie served as Editor of AIP’s Communicator and on its board of directors for many years. She was the Connecticut State Chairman for NAP until the formation of NEAP and is the assistant curriculum director for NAP’s 2014 National Training Conference in Oklahoma City. She currently serves as NEAP Secretary. 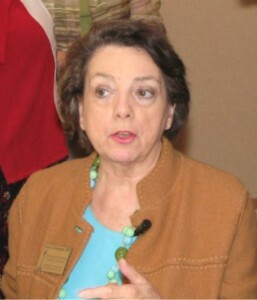 Loretta E. Santagata has served as treasurer for most organization to which she belonged. Her first position was treasurer of a House Corporation at the University of Rhode Island. Later, she served as the first treasurer of the Lucille P. Leonard Unit of NAP. Loretta’s knowledge of spreadsheets, income statements and balance sheets, and her collaboration with insurance and union auditors afforded her opportunities in corporate accounting. Her practice widened at City Hall in her hometown where she served in the auditing department. She also worked in the Personnel Department where she calculated pensions. A key element in Loretta’s tax practice as an Enrolled Agent (EA) is her broad financial experience in a variety of situations. As NEAP Treasurer her success will be her decades of financial experience with organizations.